No matter how godly any of us are in this life, we all fall short of keeping God’s law perfectly. Here are eight godly men of the Bible who still needed a Savior—Jesus Christ our Lord. ﻿Adam was made in righteousness and holiness, but he also had a free will that could choose to obey or disobey God.Sadly, Adam chose poorly. He listened to his wife Eve and ate the fruit from the tree of the knowledge of good and evil, which God had forbidden him to do. 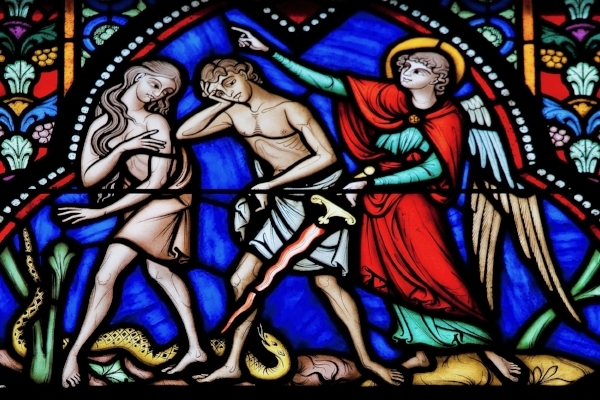 Because of Adam’s transgression, every person is guilty before God, since Adam represented all humanity. Additionally, everyone has a corrupt human nature, because all humans are descendants of Adam who fell into a sinful state of being. Still, Adam had faith that God would provide a savior as promised in Genesis 3:15. He demonstrated this faith by naming his wife Eve, which means “the mother of all living” (Gen. 3:20). Noah was a righteous man living amidst a corrupt world.The Bible tells us, “The Lord saw that the wickedness of man was great in the earth, and that every intention of the thoughts of his heart was only evil continually” (Gen. 6:5). Noah alone found favor in God’s sight. 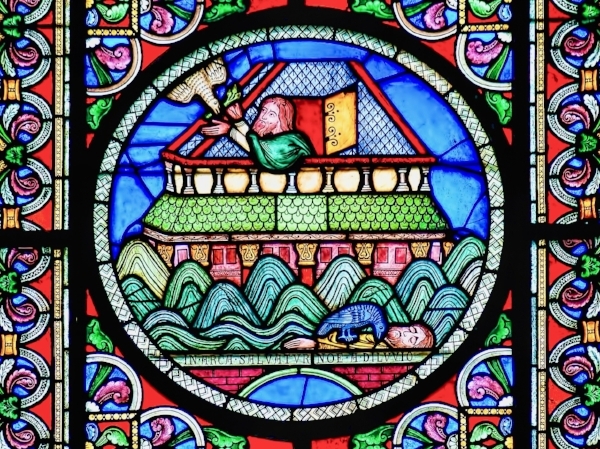 He obeyed God by building the ark and preserving God’s creatures from destruction in the flood. Yet, after the floods subsided, Noah became so inebriated one night that his son Ham walked into his tent and saw him naked. Ham then told his brothers about it. Noah subsequently cursed Ham’s son Canaan. Sin, whether it is of a minor or grievous nature, always leaves destruction in its path. 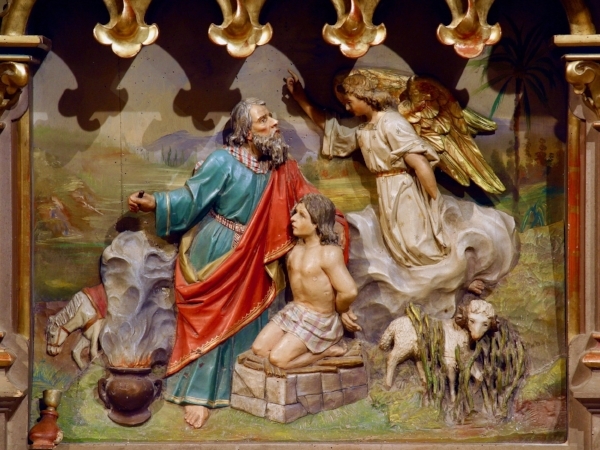 Noah’s never-failing faith was shown in his blessing of Shem and Japheth (Gen. 9:26–27). Abraham is praised for his faith in both the Old and New Testaments. Abrahambelieved God’s promise that that all the nations would be blessed through him: “And he believed the LORD, and he counted it to him as righteousness” (Gen. 15:6). The Apostle Paul also points to this scripture verse about Abraham’s faith in Romans 4:3. Still, Abraham lied twice about his wife being his sister in order to escape being harmed, once to Pharaoh (Gen. 12:10–13) and then again to King Abimelech (Gen. 20:2). Abraham demonstrated his faith that God would keep his promise when he was willing to sacrifice Isaac, his only son by Sarah, upon God’s command.Thankfully, God spared Isaac and provided a ram for Abraham to sacrifice (Gen. 22:1–18). ﻿Moses faithfully represented God before Pharaoh and guided God’s people out of the land of Egypt and through the Red Sea. He received God’s commands on Mount Sinai and gave them to the people so that they would follow the Lord in all things. Yet, Moses got angry in the wilderness and struck the rock at Meribah to bring forth water, instead of speaking to it as God commanded. For this disobedience, God barred Moses from entering the Promised Land. Still, Moses kept his faith in God. No other mere human in the Bible had a relationship with God like Moses did.Moses and God would regularly converse in the tent of meeting: “Thus the LORD used to speak to Moses face to face, as a man speaks to his friend” (Exod. 33:11). David loved God. He was a man after God’s own heart (Acts 13:22). God chose David to be king over all of Israel, but first David had to go through numerous battles and hardships on his way to the throne. David was a mighty warrior and a loyal servant to Israel's first king, Saul. Yet, after David had ruled over Israel for some time, he committed adultery with Bathsheba, the wife of Uriah the Hittite. He also had Uriah killed to cover up his sin. David’s first child by Bathsheba died because of his transgressions. David had great faith in God. His many acts of bravery, including the slaying of Goliath in Israel’s battle against the Philistines, demonstrated his trust in God (1 Sam. 17). David loved God so much that he also wanted to build a temple for God’s ark, but God gave that responsibility to David’s second son by Bathsheba, Solomon. 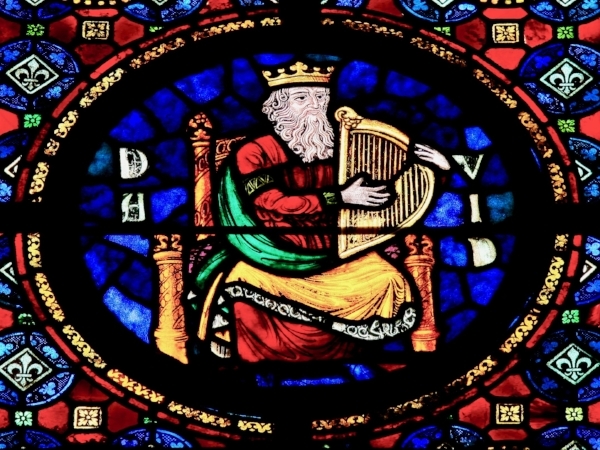 Solomon also loved God as his father David did. After Solomon became king of Israel, he had a dream in which God asked Solomon what he wanted. Solomon asked for wisdom to rule God’s people, and this was pleasing to God (1 Kings 3:3–14). God gave Solomon not only great wisdom but also riches and honor. Solomon also had the honor of building God’s temple. Yet, he acquired 700 wives and 300 concubines over the years, and eventually Solomon's wives "turned away his heart after other gods, and his heart was not wholly true to the Lord his God, as was the heart of David his father” (1 Kings 11:4). God showed mercy to Solomon. Even though he sinned against the Lord in going after other gods, Solomon was allowed to rule over Israel all the days of his life because of God’s promise to David (1 Kings 11:34). Peter was one of Jesus’ twelve apostles. When Jesus called to Peter one day when he was fishing, Peter left his nets and followed Jesus. Peter first confessed that Jesus was “the Christ, the Son of the living God” in Matthew 16:16. Peter was known to be brash and impulsive, but he loved Jesus with great devotion and was one of the three disciples present at the transfiguration, along with John and James (Matt. 17:1–8). Peter declared that he would never leave Jesus (Matt. 26:33); but later, out of fear for his life, he denied three times that he even knew Jesus. Peter wept bitterly over his denial of Jesus, but Jesus forgave him. Peter went on to become a bold preacher for Christ, giving the first public sermon at Pentecost where thousands were filled with the Holy Spirit and confessed faith in Christ as their savior (Acts 2:14–41). Paul was a distinguished Pharisee who zealously persecuted Christians until Jesus appeared to him one day on the road to Damascus. Christians were shocked to see Paul begin preaching that Jesus was indeed the Christ, the promised Messiah of Israel and the world. Paul suffered much for his faith in Christ, but he also did much to spread the gospel throughout Israel and Asia Minor. Even though Paul’s worst sins are recorded as occurring before he became a Christian, he also admitted to continuing struggle against sin as a believer (Rom. 7:18–25). God used Paul’s zeal and advanced education to spread the gospel and teach millions of people over the centuries since Jesus’ resurrection about the essential doctrines of the Christian faith. We can learn from Paul that becoming a Christian doesn’t mean we will never sin; rather, the Christian life is a battle between the Spirit and flesh that will continue until we die and are freed from our mortal bodies. Believers will receive new bodies that can never be corrupted, just like the resurrected body of their savior Christ (1 Cor. 15:12–28).